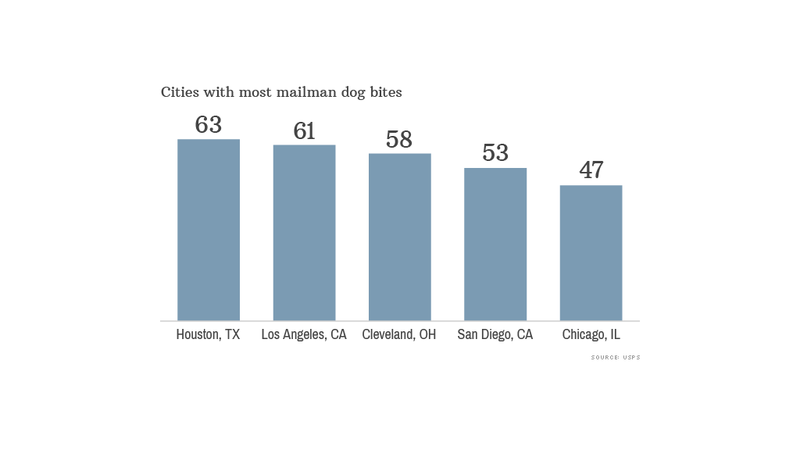 Houston is the most dangerous city for dog bites against mail carriers. Known for its energy sector and NASA, Houston can add another, less glamorous superlative: It's the worst city for dog attacks on letter carriers, according to the U.S. Postal Service. 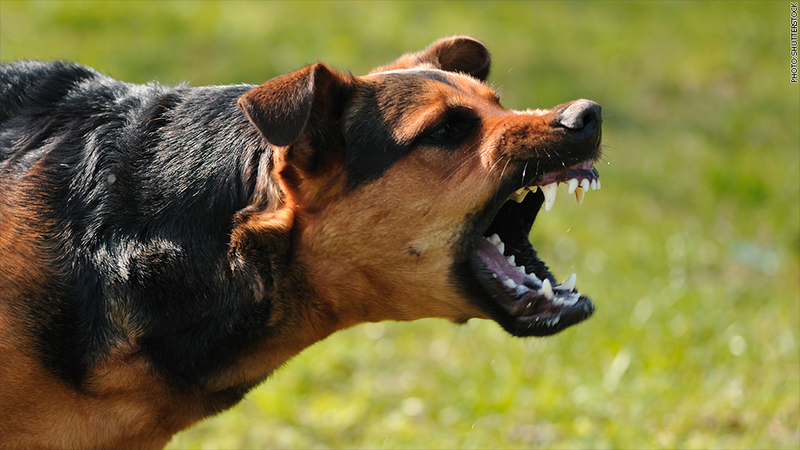 With 63 dog attacks, it beat out Los Angeles, which had been the worst city for dog attacks, according to the annual report released by the agency Wednesday. In 2013, 5,500 postal workers were attacked by dogs nationwide, it said. Other cities topping the list are Cleveland, San Diego and Chicago. "There's a myth we often hear at the Postal Service," said Postal Service Manager of Safety Linda DeCarlo. 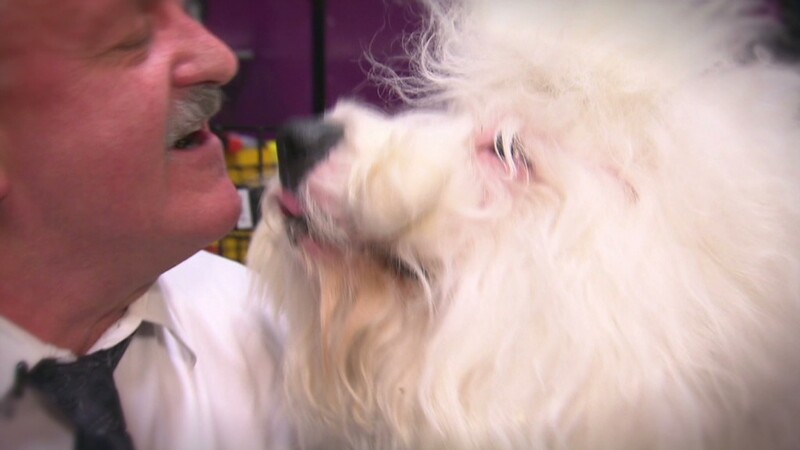 "Don't worry — my dog won't bite." The list comes out ahead of National Dog Bite Prevention Week, which kicks off May 18. Some 4.5 million Americans are bitten by dogs each year, according to the Centers for Disease Control. Half of all dog bite victims are children. Enclose your dog in a separate room before going outside to collect the mail. Remind children that dogs need to be secured. Tell children not to take mail directly from postal workers in front of a dog. Dog bites are one of several reasons the Postal Service has been moving away from delivering mail at the door stoop of homes. Cluster boxes are mail boxes located at a central point in a neighborhood that residents must walk to. The move toward cluster boxes could lead to lower labor costs for the agency and fewer hours for postal workers, who can complete routes more quickly. When a dog bites a mail carrier, the postal service usually ends door-side delivery to the home of the dog's owner, postal experts say.